Use these 5 tripod stability tips and you're guaranteed to get sharper photos. Have you ever wondered why you can still got blurry photo even though you used your tripod? This article will give you 5 tips on how to make sure your tripod is steady and also covers how you can test the stability of your tripod. It's a common photography mistake. You use your tripod and you automatically think you'll get perfectly sharp, blur-free images, right? It's happened to me and I'll bet it's happened to more photographers than you think. Here are the same tips, just put into a video format in case you like watching instead of reading. I played around with some video editing software and this is the first time I've ever spliced so many short clips together. I believe it gets the points across in an easy to understand format. You may be familiar with a few of them, but if you know about all 5 of these stability techniques, you won't ever have to worry about even the slightest blur in your photos from camera movement, when you use a tripod. That is, don't touch the shutter button with your finger when you take your photo. Yes, even when your camera is securely mounted to the top of your tripod. 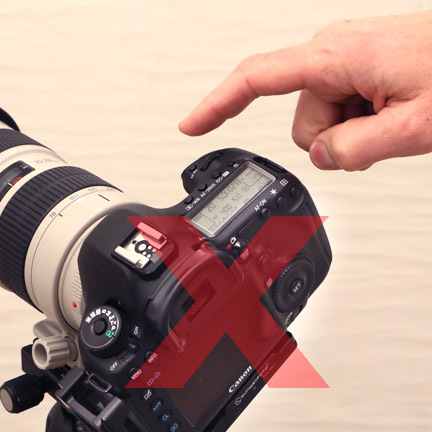 The pressure from your touch can cause a tiny movement in the camera that can affect sharpness. You may not notice it on the back of your camera's LCD screen, but a lack of sharpness becomes more apparent when you view your photos on a larger screen or on a print. 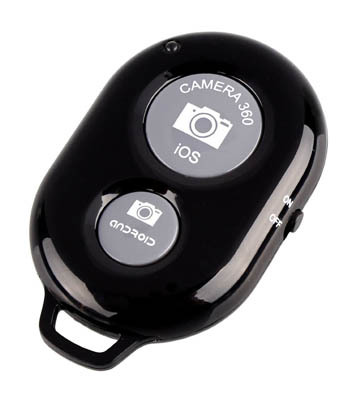 You can use the camera's self timer, attach a shutter cord, or use a remote shutter trigger. All of these techniques prevent you from causing even a slight camera movement when you capture your image. 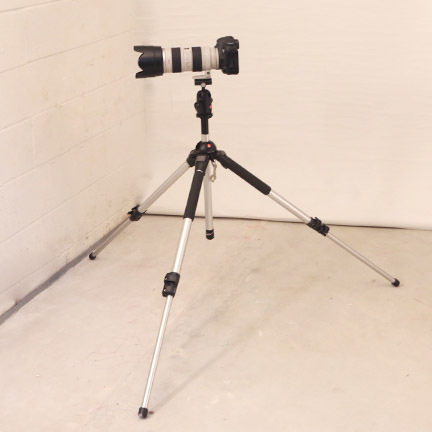 Spread your tripod legs farther apart for added stability. You're somewhat limited by the length of the center pole and the space you have available. Tripods without a center pole can spread flat to the ground. 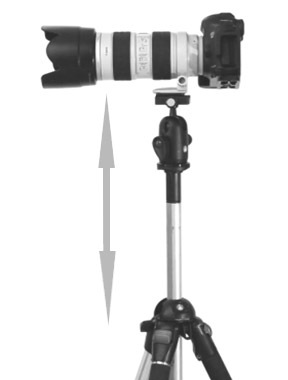 Cheaper tripods come with braces that connect the legs to the center column at the bottom. This means you don't have the option of spreading the legs out wider. This type of tripod is easily the most affordable to buy. I call them disposable tripods, because they simply do not last long unless there sitting in the back of the closet collecting dust. In my experiences with these tripods, they simply don't hold up with a significant amount of use. They are very affordable, for sure, but a really well built tripod should last a lifetime. If you don't have to extend all of your leg section fully, it's best to keep the skinniest tripod leg sections retracted. 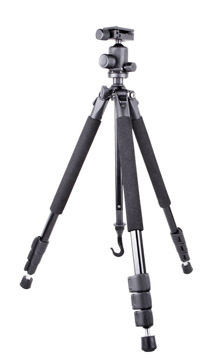 The thicker, upper leg sections are stronger and give you a slight advantage in tripod stability. Thicker tripod leg sections give you more stability. This is particularly important when you have tripods that have 4 or 5 leg sections. Use the upper, thicker tripod legs first and keep the thinner legs retracted. Secondly, having the legs overlap in equal amounts like the photo above is better when you have several section. Fully extending just one section of a leg is less stable than having several sections extended. 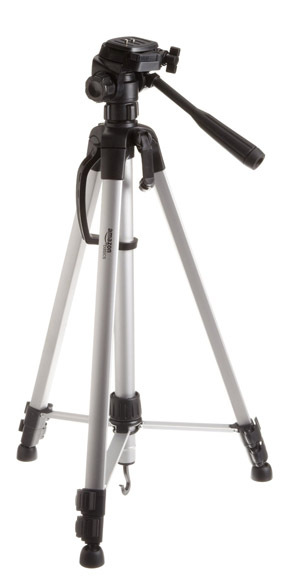 When it's raised high, your tripod's center pole is more like a monopod. It's not as stable. for the most stability, keep your center pole as low as possible. You lose a lot of the beneficial stability that you get from 3 legs when you single center pole is sticking up high in the air all by its lonesome self. When considering what tripod size to buy, remember it is a nice feature to be able to get your camera high enough without having to fully extend the center column. This is perhaps the most underutilized of the tripod stability tips for keeping your tripod steady: Weigh it down. 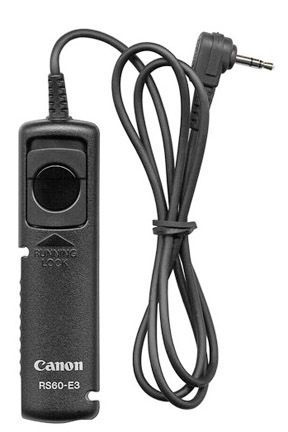 Combined with the 5th stability tip (a remote trigger), you will get the sharpest, blur-free images. Make your tripod heavier anyway you can. I get it, You want to carry less weight and that's why ultra light tripods have become increasingly popular. The downside to using a light tripod is that they move easier and are less steady. tripod center pole to increase stability. 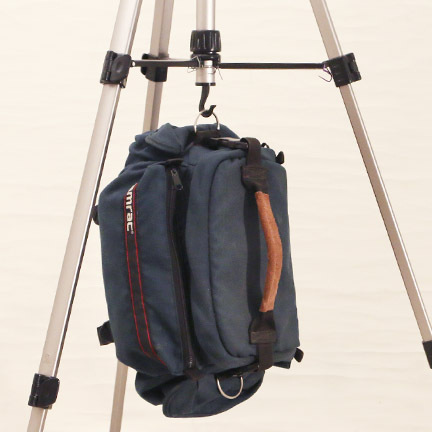 I've seen a lot of photographers hang their camera bag on the center pole. It makes sense, since you already have your bag with you. You don't have to search around for another object to use. Just make sure everything is zippered and secure. You don't want any of your precious cargo to fall out and get damaged. You can use anything that's handy or you can buy specific gadgets that are convenient and easy to use. I've used a plastic bag, and inserted a few nearby rocks into the bag. That's a thrifty way add to the overall weight and stability of your tripod. Gadgets that attach to all three legs are nice because they don't hang down too low. They are very light, fold up flat, and can be filled with anything to give you the added weight. I'm cheap when it comes to some tripod accessories and I just use a plastic bag attached to the center pole when I need to add weight for added stability. 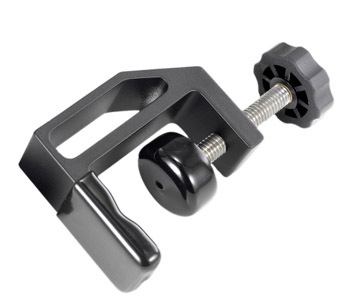 If your tripod center column has no hook, you can also buy a pole clamp to attach extra weight to your tripod. The advantage to getting one of these is that they have many uses. I also use this clamp to clip my extrnal speedlite battery to. Sand bags are versatile to use because they can be used in a variety of ways. They're easy to carry and can be clamped or hung overtop. Sandbags are great to weigh down light stands. I use mine to prevent my stands from being tipped over by the wind when my large light reflector panels are attached. Wind. Wind can easily add movement to your tripod and camera during an exposure. This is even more true if you are using technique number 1 and hanging a large object from the center pole. Sometimes you can block the wind with your body as you shoot. Other times you may just have to wait until the wind dies down before you can take your photo. DSLR Mirror Bounce. If you have a DSLR camera, it uses a mirror that has to flip up out of the way when a photo is taken. This can cause a vibration that could affect sharpness. Some cameras have a mirror lock-up setting that flips the mirror up and lets it settle before you make the exposure. Surprisingly, this is less of a problem with very long exposures. There are a couple of ways you can test the stability of your tripod, but here is the one that I've found out to work the best. 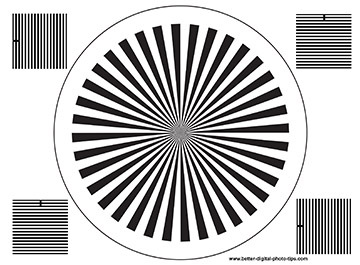 You don't have to use a fancy lens sharpness target like the one pictured below. Whatever you do decide to use to check your tripod stability, just make sure the target is very stable with no chance of any movement during your test. 1. Set up you camera on your tripod to photograph a stationary object with distinct, contrasty lines. 2. Use a shutter cord or your camera's self timer function. 3. Set your camera on shutter priority mode. 4. Take a sequence of photos with the shutter speed doubling each time, starting at 1/500, then 1/250, 1/125th etc. all the way down to a full 1 second exposure. If you see a change in sharpness as the shutter speeds get slower, than you have an issue with blur caused by camera movement and your tripod is not fully stable under the conditions you used in. To really see analyze the sharpness effectively you'll need to shoot the photos, download them to your computer and look at them in software that lets you zoom in closely. Here's a focusing chart if you want to print one out and use to check the stability of your tripod. These techniques aren't super complicated, but it's important you understand all of them when you're out on a photo shoot. If you found these 5 tripod stability tips helpful, please share this post.